These are the finalists for WSC2017 in France. As of now, the files in the local category uploaded within the local deadline are 55, with 5 obviously unsuitable files. 1 video was uploaded in this category. 0 pdf files were uploaded in this category. This country had at least one set of images. 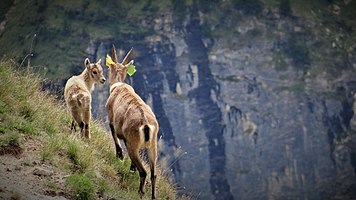 See Image sets from Wiki Science Competition 2017 in France. the selection was performed with the tool Montage. the selection lasted from 2017-12-31 to 2018-01-31.
the results were published on 2018-03-31. Files that were uploaded as part of a set are marked with (S), additional sets could have been reconstructed by the organizers. 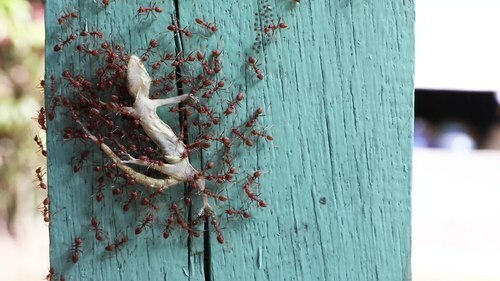 Video of red weaver ants transporting a dead gecko, in Laos . Basile Morin Protocol to obtain olfactory bulbs from rats. 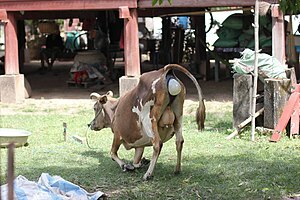 Cow giving birth, in Laos. 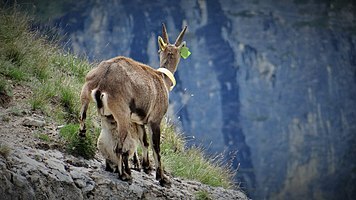 Basile Morin Scientific monitoring of ibexes in the Vanoise National Park. Diplulmaris antarctica, underwater antarctic biodiversity (French scientific base in Antarctica). AMICE Dragonfly (Anisoptera) in flight, in a paddy field, in Laos. Couple of Common House Geckos (Hemidactylus frenatus), mating.